It’s time your golf course ponds and waterways look as beautiful as your greens. 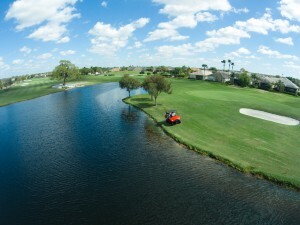 Innovative Aquatic Weed Solutions: AAM works with numerous golf courses across Florida providing our clients with the latest technology and innovative spray management techniques providing you with immediate results to your aquatic weed problems. As a leader in the industry we pride ourselves on providing our clients with comprehensive vegetation management and unwavering customer service. When you call, we guarantee to be on-site within 24 hrs. Whether you have an exotic species outbreak or severe algae bloom, our licensed Applicators will quickly eliminate the problem and work with you to develop a customized plan for successful ongoing maintenance. We use only the highest quality herbicides and algaecides that are environmentally friendly and EPA registered. We use chemical mixes that work! With more than 30 years in the industry, we’re your trusted source for all your aquatic weed control needs. What can you expect from AAM? Contact us today. On-site within 24 hrs. Guaranteed*. Ready to learn more about our innovative programs? Contact us today at (863) 533-8882 or click below for a free assessment. Guaranteed, on-site within 24 hrs. Are you a licensed aquatic weed control applicator? Answer: Yes, all of AAM’s technicians are licensed through the State of Florida’s Department of Agriculture and Consumer Services. Can I use the water that you just treated to irrigate my lawn? Answer: In most cases yes, if AAM were to perform a treatment with a herbicide that has an irrigation restriction on the label there would be postings if required and the property owner or property manager would be notified prior to treatment. What is a littoral shelf and why do we have to have them in our pond? Answer: A littoral shelf is a shallow shelf in a water body that is planted with native aquatic vegetation normally located by an out flow structure. The purpose of a littoral shelf is to help filter out the nutrients and minerals in the water prior to it leaving the pond via the out flow structure. What is the best way to control the algae in my pond? Answer: Routine Maintenance is the only way to control algae, there is no long term solution for algae bloom. Schedule an appointment with AAM. Why is there so much algae in my storm water retention pond? Answer: Most storm water retention ponds in Florida have a very high nutrient and mineral levels due to run off from fertilized yards and neighborhood roads which contribute to algae bloom. What are my options as far as service / maintenance goes? Answer: We offer bi-weekly, monthly, bi-monthly, quarterly, semi-annual, and as needed maintenance programs. Schedule a free on-site evaluation and estimate. How often does my pond or lake front need to be treated? Answer: It depends on the situation, every water body is different and needs to be inspected by AAM to generate a treatment plan. Schedule a free on-site evaluation and estimate. What type of aquatic weed control options do I have? Answer: Applied Aquatic Management offers many different aquatic weed control methods such as herbicide treatments, hand removal of vegetation, mechanical harvesting and biological control. Does your spray hurt the fish or wildlife? Answer: No it does not, every herbicide that we use is very much environmentally friendly and is registered with the Environmental Protection Agency, every herbicide application performed by Applied Aquatic Management is done in accordance to the EPA registered label. 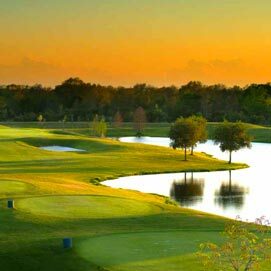 Learn why Grasslands Golf & Country Club chooses AAM to provide ongoing aquatic weed maintenance of their golf course ponds and mitigation areas.